The Kizlyar Supreme Sturm is a multi-role fixed blade knife, as comfortable in forward combat areas as it is setting up camp or cleaning a deer. Made from CMP-4V steel, the Sturm can stand up to whatever you throw at it. The satin finished blade features a functional drop point design with a deliberate tip. 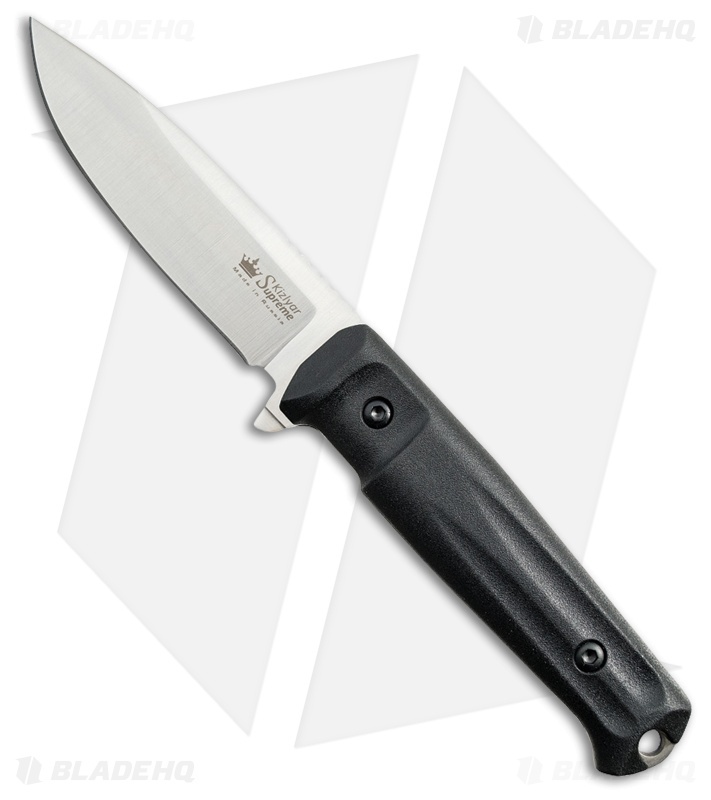 An integrated finger guard and textured G-10 ensures a solid grip in hand. Included is a black kydex sheath is fully MOLLE compatible, allowing for various mounting and carry options.